Astell&Kern have entered the Indian markets in an exclusive partnership with Indian distributor Ferrari Video and their retail brand, Headphone Zone. Their current line up of music players, the AK Jr, the AK320, the AK300, and their flagship AK380 are now officially available in India with prices ranging from Rs. 34,990 to Rs. 2,49,990. The competition in this space has been heating up recently with Cowon, Sony, and FiiO launching their own high end audio players. Astell&Kern is a high-end audiophile brand by iriver which offers Hi-Fi audio systems supposedly capable of playing Mastering Quality Sound (MQS). MQS refers to high resolution digital music recording studio formats. Astell&Kern music players claim to have the ability to decode and convert files to an HD format. Astell&Kern boasts native support for MQS (24-bit / 33 - 192kHz), which is as close as it gets to recording studio quality. MQS delivers about 6.5 times more detail than conventional music players. 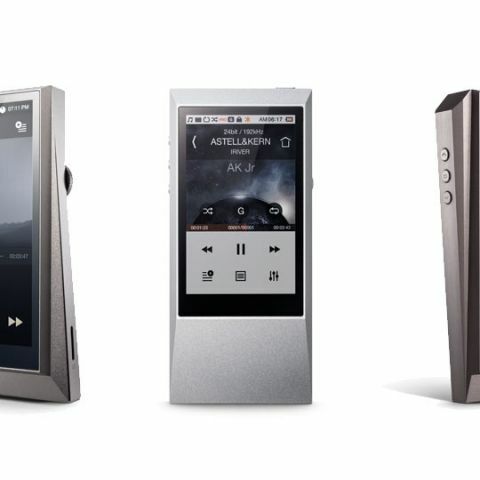 Along with their flagship products, Astell&Kern have also released some high-end audio accessories. The Cradle for the AK300, AK320 and AK380 players provides USB data transfer and charging capabilities. The Cradle also provides stereo balance and analogue output by means of three-pin XLR type connectors. The AK CD-RIPPER is their desktop CD-Ripper which is a CD-ROM drive that can rip CDs directly into their player’s in-built memory.